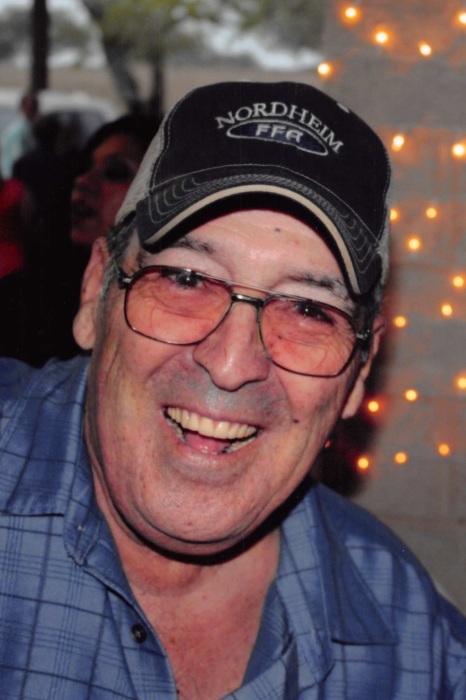 Celso Garcia, 76, of Nordheim passed away Friday Nov. 23, 2018. He was born Oct. 26, 1942 in DeWitt County, TX to the late Brigido and Carmen Gonzales Garcia Sr. He is survived by his wife Diana Torrez, son John (Sandy)Garcia, daughters Diamond (David) Norrell, Lora Torrez, Sandra (Robert) Varquer, Sharon Jacob and son Steven (Maggie) Torrez, brothers Erasmo, Gerardo, Brigido Jr. Juan, Alex and David Garcia, and sisters Eva Dueser and Stella Baggett. He is also survived by 12 grandchildren and two great grandchildren. He was preceded in death by his parents, brothers Raymond, Antonio Sr. Enrique and Emilio Garcia. Visitation will be 5-7 pm Monday Nov. 26, 2018 with a rosary starting at 7 pm at Massey Funeral Home. Funeral Mass will be 10 am Tuesday Nov. 27, 2018 at Holy Cross Catholic Church. Interment will follow at St. Ann’s Cemetery in Nordheim. Pallbearers will be his brothers.